Availability: In Stock. Please allow 5-7 days for shipment. 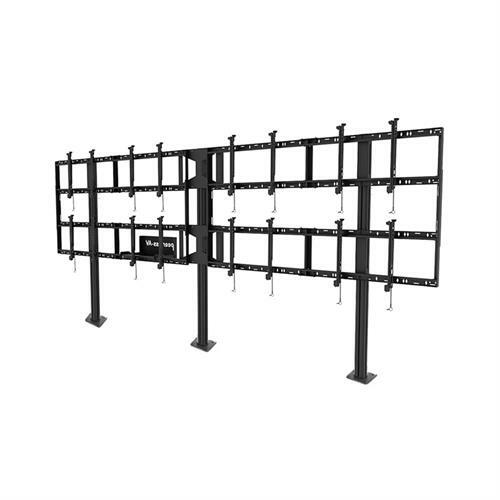 More on the Peerless 4x2 Video Wall Bolt Down Stand DS-S555-4X2 below. Call our Peerless AV experts at 800-807-1477. 46-55" flat screens up to 100 lbs (800 lbs. 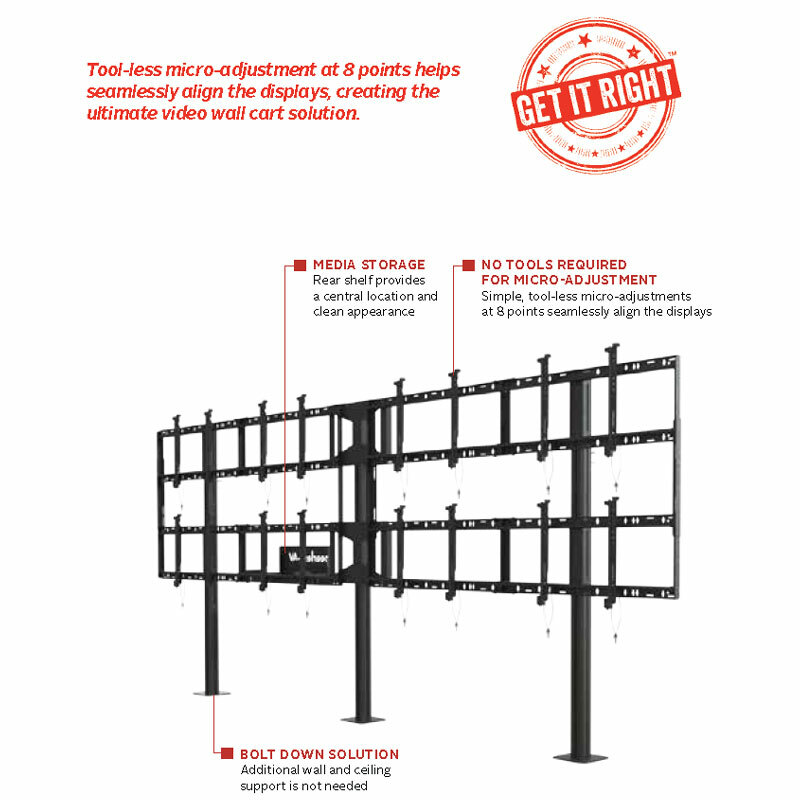 total) with VESA® 200x200 up to 600x400mm mounting patterns. 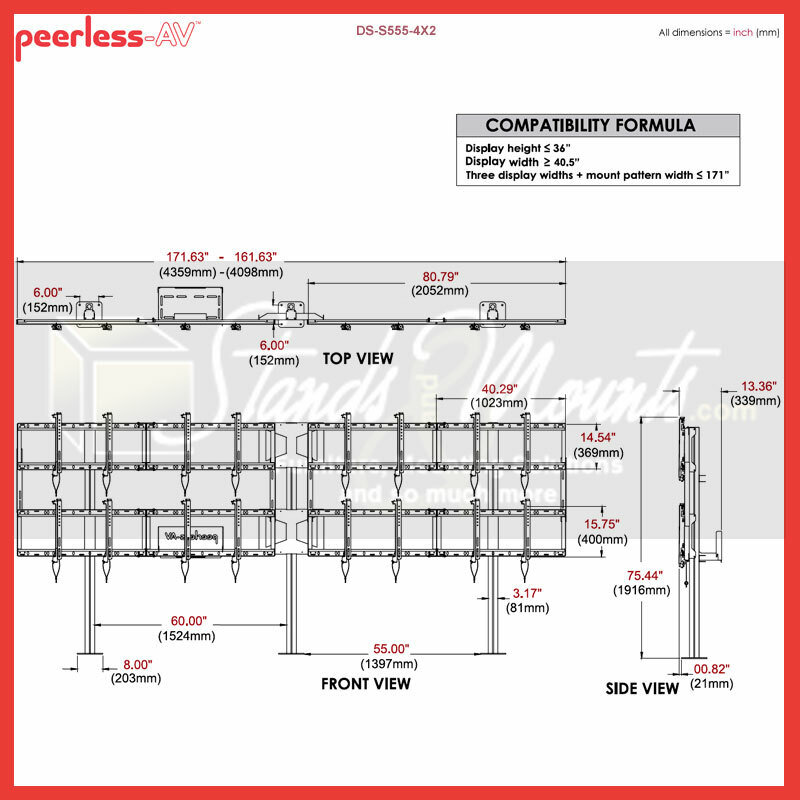 See specification image for additional constraints or use Peerless's Mount Finder tool to confirm compatibility. Sound confusing? Call our Sales Team for help! *Click on the last image above for detailed dimensions. Range of Screens Supported: 43 to 50 in., 51 to 60 in.